A bug was found that allows you to bypass the lockscreen on the latest version of Ubuntu. Seems all you need to do is hold down the Enter key until the screen freezes and the lock screen crashes. 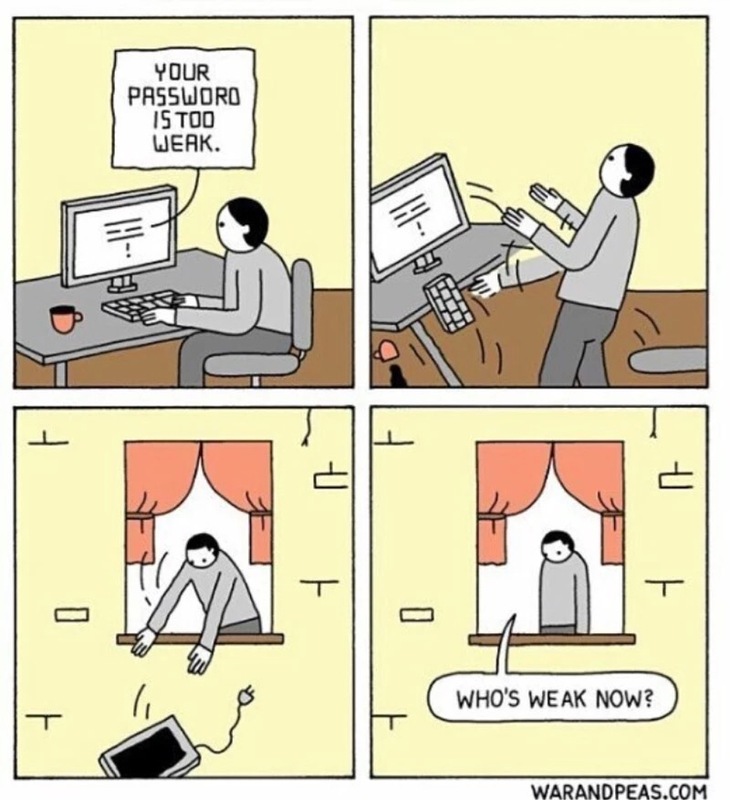 After that the computer is fully unlocked. It has been patched so make sure you upgrade. It can be extremely frustrating when you’ve forgotten the pattern you use to lock your smartphone, and even more so if someone has managed to prank you by changing it. Luckily, there’s an easy fix if you know the username and password for the Gmail account you used to set up the lock. If you’ve somehow forgotten your Gmail info, it’s a bit trickier to bypass the lock screen. As a last resort, there’s always resetting your phone to factory settings, but no one wants that hassle. So, here are a couple of ways to avoid starting from scratch, if you can. Programmable embedded devices have the capability of being detected as a HID device , just like a keyboard or mouse. So if you have physical access and a minute alone you can compromise a system with something the size of your thumb. The possibilities are endless, HTTP/FTP download, injecting binaries into debug or Powershell etc.. Also this device is cross platform which means Windows,Linux,UNIX and Apple are all vulnerable. 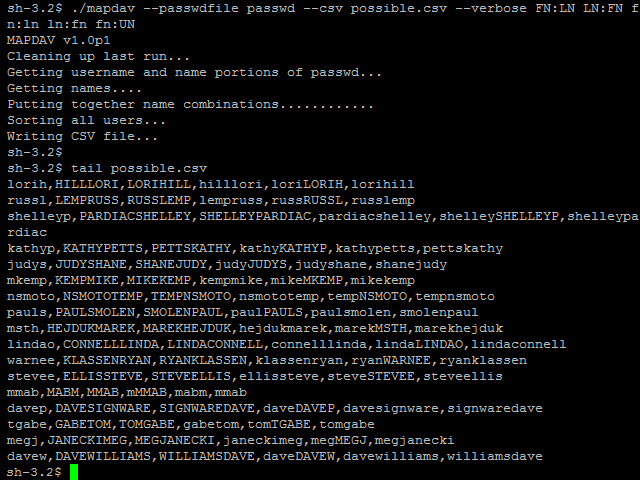 MAPDAV is designed to use what is known about a user or users (ex, username, first name, middle name, last name, etc) on a unix/linux system from a /etc/passwd file and tries to come up with probable combinations that could be the user’s password. 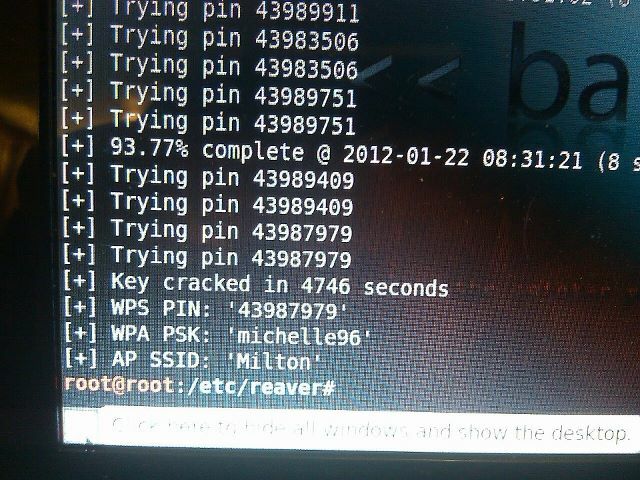 An administrator could run the output through a cracker and see if their user’s passwords are anything easy to guess. We could have MAPDAV derrive some possible passwords, such as chrisa, chrisanderson, andersonchris, canderson, ChrisAnderson, Anderson Chris, CHRIS, plus any other combinations you entered. It has quite a few other features you can use to modify the output to have arbitrary characters, be in reverse, and other useful things. Out of a sample of 30192 users, MAPDAV 1.0p8 cracked 4.7% of the passwords on the default settings, 1.2% of which were NOT the same user/pass. This combind with a good conventional wordlist could give good crack results. Darth Null had a nice writeup on how to make crypt(3) rainbow tables. After being told that the salt made it impossible to generate Rainbow Tables, unless you went through the trouble to create 4096 different tables (one for each salt) the reason cited was the presence of the two-character salt at the beginning of the hash. He went out and devised a solution couple of nights later, it was able to actually read, write, and process crypt(3) hashes in their native form (as opposed to a flat hexadecimal dump of the hash). He wanted to submit it for schmoocon but didnt get accepted , so rather than sit on the information, he decided to release it on his blog. It’s still kind of slow: 9x slower than LM hashes, for example. But CPUs are much faster than they were in 2003, when people first started building tables for LM hashes. It also takes a lot of storage. But storage, likewise, is much cheaper than it was seven years ago. An unknown organization is systematically checking for open SIP ports and then trying common extension usernames and passwords. If they find weak passwords, they are then into the PBX and can make thousands of calls in a matter of minutes. Protect yourself. Some were Asterisk and some were SIP-based VoIP PBX. Itappears that the hack has nothing to do with any sort of Asterisk vulnerability, but with insecure passwords set for extensions.